iPhone game development takes a lot more than just the knowhow of the right tools. MyAppsDeveloper.com has the perfect team of project managers, graphic designers and experienced game developers who know how to translate a good story line in to a great game. This is because we understand that a masterpiece game can only be created when it is built on the foundation of a solid storyline and concept. At MyAppsDeveloper.com, we build your iPhone games using the best available tools in the industry. We best utilize the in-built technologies like the gyro-meter and tactile sensor in the iPhone to give maximum pleasure to the player and satisfaction to the game owner. 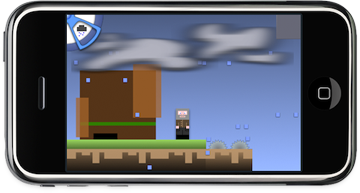 It is a pleasure to see your idea turn into an iPhone game. However, this is only possible if you put your project in the right hands.